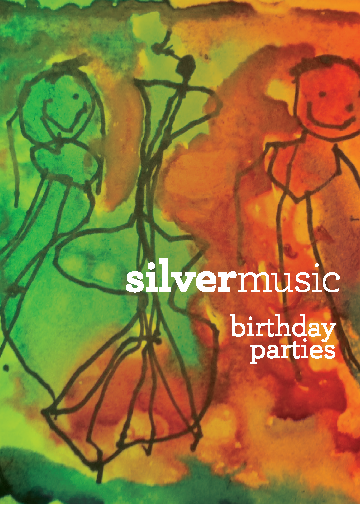 Celebrate your child’s birthday at Silver Music! 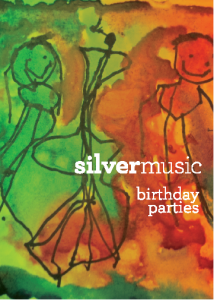 We offer several creative party packages filled with music and art, story and song! Parties are available for up to 15 children. Parties are available for children ages 1-6 years. Violin/viola and cello instruction is available at every party, and based on your child’s interest, guests may make instruments, conduct their own orchestra, create a soundtrack to a story, and have fun playing musical games! Several packages and themes available! Teachers guide the experience to the level and interest of your child and his/her friends. CREATIVE ARTS (15 min)–theme based: make an instrument, write music, make animal masks, and more! REFRESHMENTS (15 min)–Bring or order your own food, or we will provide pizza, cupcakes, drinks, and paper goods for an additional fee. Submit this form to let us know your party preferences! We will be in touch to schedule your special event!